It's been yet another mixed bag of a year for Hindi cinema, with some fine performances mired in poor films, and some fine films marred by weak actors at their centres. As actresses go, however, it's been a pretty good year, boasting of some very fine performances from some very talented women. Two come from the same film, and one even pops up twice. Here, then, is the class of 2012. Give the ladies a hand. One of the few things Reema Kagti got truly right in Talaash was the casting, and while the characters may all have been one-note, the actors portraying them fleshed them out into real people. 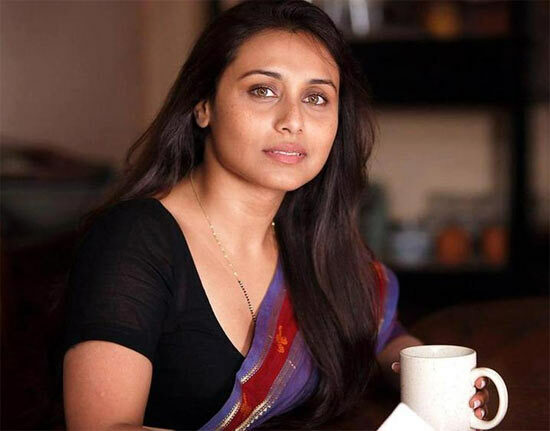 Rani Mukerji, as a grieving mother who has lost her child, was achingly vulnerable and believably devastated. The film didn't offer her enough, but what little Rani found, she shone in. 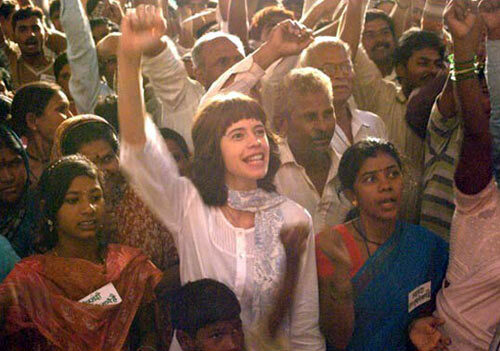 Kalki Koechlin got the short end of the stick in Dibakar Banerjee's Shanghai, a political thriller offering more meat to its male actors and leaving her with a rather annoying character. And yet, despite being coiled exasperatingly tight throughout the film, she's rewarded with a glorious outburst near the end of the film, a helplessly violent expression of impotent rage. Armed with a dinner plate and fury, she's astoundingly good. Winsome, naive and with enough natural charm to make bicycling boys lose their heads, D'Cruz won us over as surely as she did her film's leading man. Mushy, moment-laden romance is an obvious screen confection, and it takes something special for a new girl to make her part memorable. This pretty one brought genuine, credible sweetness to the table, and made us believe in, and root for, Barfi's love. Image: Ileana D'Cruz in Barfi! Undoubtedly the weakest film on this list, Madhur Bhandarkar's Heroine does nonetheless feature a pretty striking performance from its, well, heroine. Kareena Kapoor is handed a part that has everything, and she takes on this extreme, showreel-y character head on, showing us her powers to cry, to soar, to emote and to scheme. She does brilliantly enough to almost salvage the film, but some things are beyond the power of actors. It's been impressive to watch young Chopra steadily grow as a performer, and even though Habib Faisal's film is ridiculously, regressively cruel to its heroine, Chopra makes sure her Zoya works, constantly. Starting off as a plucky girl brimming with underage enthusiasm and bonafide bloodlust, she manages also to swoon with the helplessness that defines her age. My absolute favourite thing about Talaash is Kareena Kapoor, the actress mouthing lines belonging to cinema (mostly bad cinema) from several decades ago, and yet doing so with a lovely lilt in her voice, enveloping herself with an air of not taking things too seriously -- which contrasts her perfectly with the film's somber hero, Aamir Khan. As I mentioned in my review, she plays her part lightly, mockingly, like Anne Hathaway's Catwoman in The Dark Knight Rises. And it is this buoyant sense of play that keeps the film afloat. Shoojit Sircar's oft-hilarious film about a young sperm donor wouldn't have been half the joy it is without Ahluwalia as his mother. Playing a delightfully original character, a Punjabi beauty-parlour owner with a sharp tongue and a fondness for the daily tipple, Ahluwalia is amazing in the film, be it when sparring with her mother-in-law, chiding her son or holding on to him because he is all she has in the world. It's a warm, tender portrayal of an impossible character that seems all too real. One has to applaud Balan for taking risks. Sujoy Ghosh's Kahaani sees Balan waddle heavily around the city of Calcutta, her belly pregnant to near-exploding levels, as she sweatily negotiates Bengal's unrelenting sultriness. It is a character unlike any in our cinema, and Balan plays her Vidya Bagchi with nuanced perfection, shifting uncomfortably through a film that cares little for her character's convenience. Most of the battle is won when a mystery makes us empathise with its protagonist, and thanks to Vidya Balan, we always care. In a film packed with crazy characters stuffed to the gills with quirks and an ensemble throbbing with authentic, theatrical intensity, it takes some significant magic to stand out. Chaddha does so almost effortlessly in Anurag Kashyap's Gangs Of Wasseypur, right from its uneven Part One where she violently lambasts the menfolk around her till she gets into a position of control, and the madder Part Two, where she, as matriarch, controls the show. It is a firecracker of a performance, one that sets up Chaddha -- who was so thrilling in Oye Lucky Lucky Oye a few years ago -- as an actress with a tremendous amount to offer. I've never been the hugest Sridevi fan, growing up decidedly on the Madhuri side of the fence, but this wondrous performance deserves massive, massive applause. Gauri Shinde's terrific English Vinglish casts the once larger-than-life Sri as a mousy housewife struggling to establish her own identity, and the actress is superb as she deals with bratty children, a smug husband and, of course, the English language, without a grasp of which she is made to feel most inadequate. It's a great character, one revelling in audience sympathy, and Sri plays it deftly and tenderly. Her Shashi is flawless, sure, but Sri makes her an irresistible underdog who must be cheered on. There is magic in the way she is spurred on by the minor victories -- like learning to negotiate a NYC subway turnstile -- and magic also in how believable she keeps things. This is a simple film where things are credible, never melodramatic, and Sridevi -- in a range of well-picked cotton sarees -- always judges the tone right. It's the sort of performance younger actresses, including the ones on this list, should learn from. Take the Bollywood quiz and WIN!